IB Roof Systems, a leader & pioneer in the roofing industry, offers the ultimate roof system for low-sloped roofs. 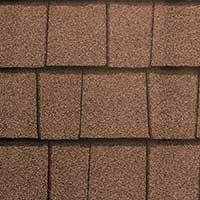 “Traditions™ Classic” is a single-ply membrane that was designed to eliminate the problems associated with conventional, asphalt shingles, but give you the look of an architecturally designed shingle roof that fits your home or building. How long is Traditions™ Classic designed to last? Traditions™ Classic carries a Lifetime Material Warranty for residential projects and up to a 15 year warranty for commercial projects. Traditions is also fade resistant and is suitable for all climates. It out performs any single roof from any manufacturer. The installation of Traditions Classic is simple, clean, fast and quiet. Most residential installations are completed in just one day. The membrane is mechanically fastened to the roof with screws and plates, allowing for the highest level of protection against strong coastal winds. Then the seams are hot air welded making a one piece blanket of protection over your entire roof. All of the flashings are pre-manufactured to make your roof look good and to minimize installer error around difficult details. “A Good Roof Is One You Can Forget.” This has been our motto for over 25 years. Traditions Classic is no different. 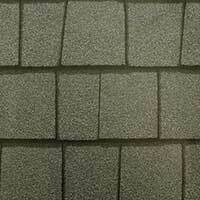 Traditions Classic is virtually maintenance free and is especially designed for low-sloped roofs. The high quality membrane resist mold, mildew, algae chemicals and ultraviolet rays, and will continue to look great for years to come. Energy efficient - saves you money! UL, FM, ICC and Florida Building Commission approved! Improves the appearance of your home or building! Traditions Classic offers warranties against manufacturing defects. All accessories, flashings, vents, membrane and the screws and plates that attach the roof, are covered under the best warranty offered in the roofing industry.